Health care fraud touches almost every part of the American health care system and dental care is no exception. While dental services are typically not covered by Medicare, Medicaid requires states to include dental care for covered children and states can elect whether or not to cover dental care for Medicaid-covered adults. When dental fraud targets Medicaid dollars (or other government programs such as Tricare), children and adults can be deprived of an important aspect of overall health and taxpayer money is diverted from its intended purpose. Our dental fraud law firm works with whistleblowers using both state and federal False Claims Acts to bring the perpetrators to justice. In February, according to a press release from the Department of Justice, a Missouri dentist entered a guilty plea to allegations he conspired to commit Medicaid fraud and to collect over $167,000 in connection with claims for orthodontic devices purchased for child patients in his dental clinics. In his plea, the dentist admitted he and his co-conspirators billed Medicaid claiming the devices were intended as a form of speech aid prosthesis when they were actually a method of straightening teeth without the use of braces. Although the Medicaid code used meant the claims were pre-certified, they should have been filed under a different code which would have required pre-authorization. In his plea, the dentist admitted the patients had not received and did not qualify for orthodontic treatment so Medicaid would not have covered the claims. The defendant further admitted that the co-conspirators paid around $50 per device, but billed Medicaid for approximately $695 per device (the maximum allowed for a speech prosthesis). This is not the first time Medicaid fraud charges have arisen in the dental field. Last June, the Federal Bureau of Investigations announced that an Atlanta dentist had agreed to pay nearly $325,000 to settle health care fraud allegations. A series of related claims, including a civil claim filed by a whistleblower in addition to criminal charges, revolved around allegations the dentist engaged in a practice known as “upcoding.” Specifically, the case involved allegations the dentist charged Medicaid for more expensive procedures than the ones he had actually performed and unlawfully billed for the work of an unsupervised dental assistant when the dentist was not present in the office. Like other forms of health care fraud, dental fraud is far from a victimless crime. Billing rules exist for many reasons, including the protection of patient health. 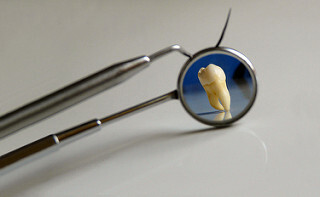 Dental fraud endangers patients, putting profits over patient care. The medical community is very clear that dental health is critical to overall health and dangerous dentists are simply another form of dangerous doctors. Additionally, dental fraud steals money from the health care system. In the case of Medicaid dental fraud, this means less money is available to treat the very neediest among us including children who cannot afford dental care if Medicaid funds are not available. The False Claims Acts allows private citizens to take an active role in fighting health care fraud, including fraud involving the dental field. In addition to providing protection for whistleblowers, the law provides a substantial reward if a whistleblower’s claim leads to the government recovering money (although we find that profit is rarely the main motivator for whistleblowers). If you have witnessed health care fraud or any other form of fraud on the government or a government program, call our government fraud law firm’s toll-free hotline at (800) 427-7020. You can make a difference.